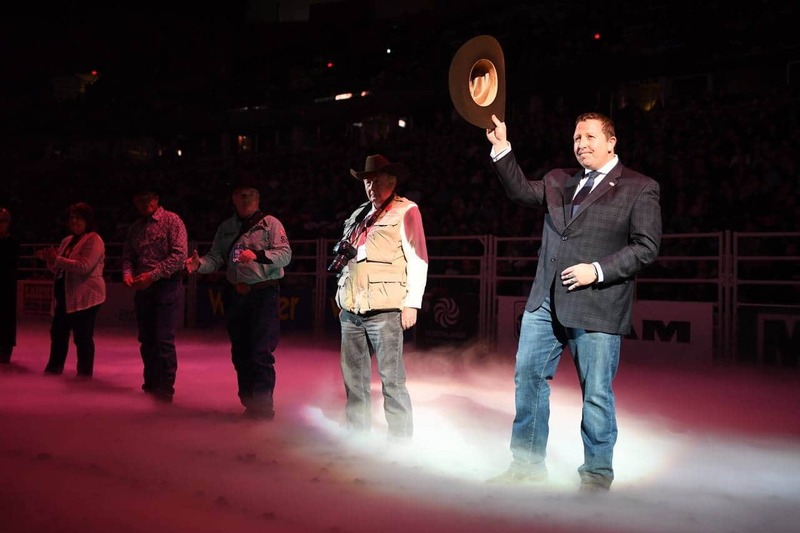 EDMONTON, AB (November 12, 2017) – For the past five days, Northlands was honoured to host the 44th annual Canadian Finals Rodeo and Farmfair International from November 8 – 12 at Northlands Coliseum and the Edmonton EXPO Centre. Two of Edmonton’s largest annual events spurred western excitement throughout the Northlands grounds and the entire city of Edmonton, with a combined attendance of 191,397. The 44rd edition of Farmfair International drew a record 101,129 guests to the Edmonton EXPO Centre to take in cattle shows and sales, equine events, the Heritage Ranch Rodeo, RAM Country Marketplace and more. This a 5.8% increase over last year’s record breaking attendance, and the first time Farmfair International has attracted more than 100,000 guests. Farmfair International brought 140 international buyers from 14 countries together to conduct business, trade industry knowledge and to purchase top-quality genetics from Alberta producers. The number of international buyers is up 55% over last year. With more than 1,500 head of livestock exhibited including more than 1,000 head of purebred cattle, the 2017 edition of Farmfair International was one of the biggest yet. From humble beginnings in 1974, the first Canadian Finals Rodeo drew 24,000 guests to the Edmonton Gardens. In its 44th and final year at Northlands Coliseum, 90, 268 guests took in six action-packed performances over five days. This is a 3.3% increase over last year’s attendance. As the largest indoor rodeo in Canada, 108 competitors chased the dream for championship buckles and their share of more than $1.5 million in prize money. The Roadhouse presented by TD brought live performances to the Edmonton EXPO Centre on Friday and Saturday including Dallas Smith’s Side Effects Tour presented by Old Camp, as well as Tanya Tucker and Aaron Pritchett to keep the party going after CFR performances.